I cannot resist pointing out how the number 23 recurred over and over again in the recently concluded NBA playoffs, which were won by the Cleveland Cavaliers, the team I was rooting for. Here is the box score for the seventh and deciding game, which the Cavaliers won, 93-89. 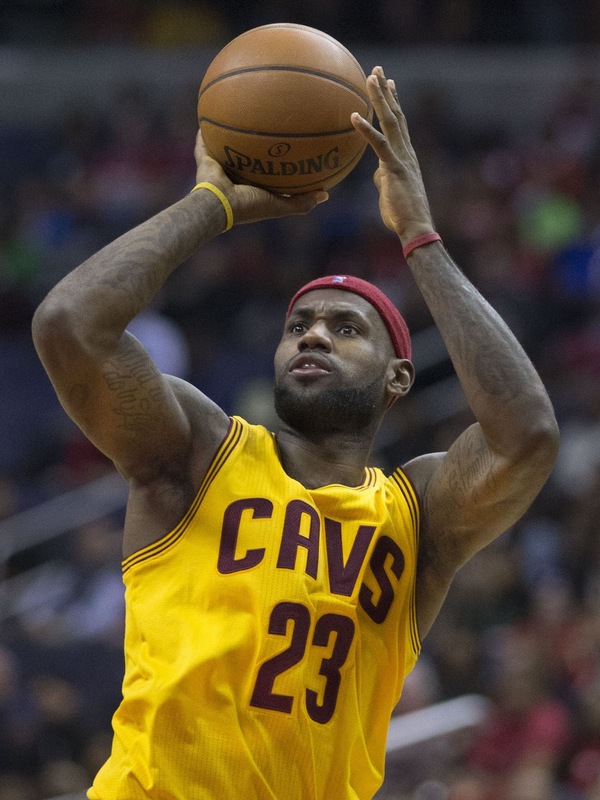 The most points for the Cavaliers was scored by LeBron James, whose uniform number is 23. The most points for the Golden State Warriors was scored by Draymond Green, whose uniform number is 23. James is the Cavs' best player, but the Warriors best player is supposed to be Stephen Curry. As I remarked Sunday, it was impossible to avoid seeing the number 23 anywhere in the Cleveland area Sunday. Everyone was wearing a jersey or t-shirt with James' name and number on it. "Since this section talks about the number 23, I cannot resist pointing out the 23 element in the NBA finals game played Monday, the same days as Charles' post, in which Cleveland won an unexpected road victory against Golden State. Cleveland had its player who wears number 23, LeBron James, but Golden State was missing its number 23, Draymond Green. That may well have cost Golden State the game. Green was missing because he took a swing at the other No. 23, James, in the previous game and was suspended. Green was suspended for Game 5 of the finals, linking 23 (two plus three) to the Law of Fives. After Golden State lost, its series lead was cut to 3-2 (in other words, from Cleveland's point of view, the series stood at 2-3)." Incidentally, one of the other local Cleveland teams, the Cleveland Indians, who as I write this are atop the American League's Central Division. Michael Brantley, an outfielder who is currently injured, is widely considered the Indians' best position player. As you can see, he wears number 23. My wife and I had our #23 shirts on...Go Cavs! The curse is over!